I'm sharing the photo of the dishes I cooked during My 72 hours of being a SAHM recently, I really cooked up a storm in the kitchen and is enjoying myself to the max! 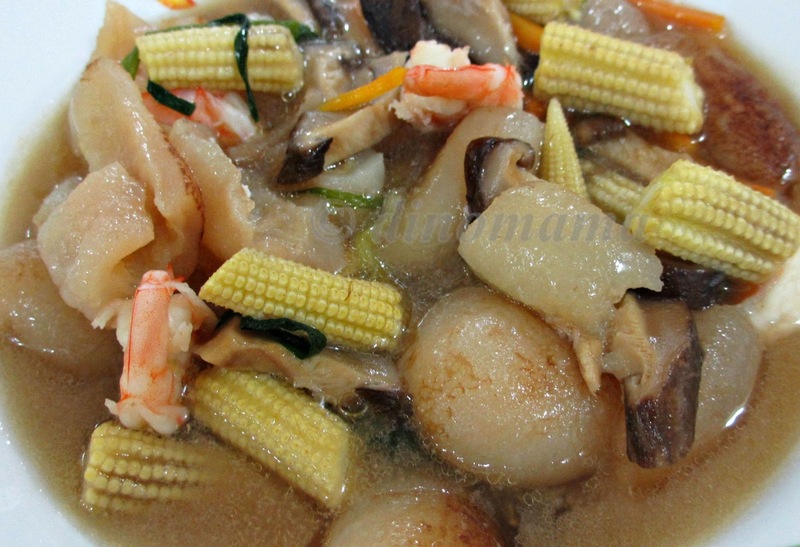 I'm also sharing the recipe of one of the dish that I cooked; Prawns with sea cucumber in thick sauce, its a dish that both kids and adults will love. 1. Wash & devein the prawns. Remove the dirt inside the sea cucumber and cut them into cubes. 2. Soak the mushrooms into warm water for about 5 mins then slice them into thin slices. 3. Slice the carrots into thin stripes. 4. Cut the baby maize into 2 or 3 pieces. 5. Put some water into a pot, bring it to boil and add in the spring onion, ginger and the cooking wine. Blanch the sea cucumber, drain up and put aside. 6. Blanch the carrots, mushrooms & baby maize, wash with cold water, drain up and put aside. 7. 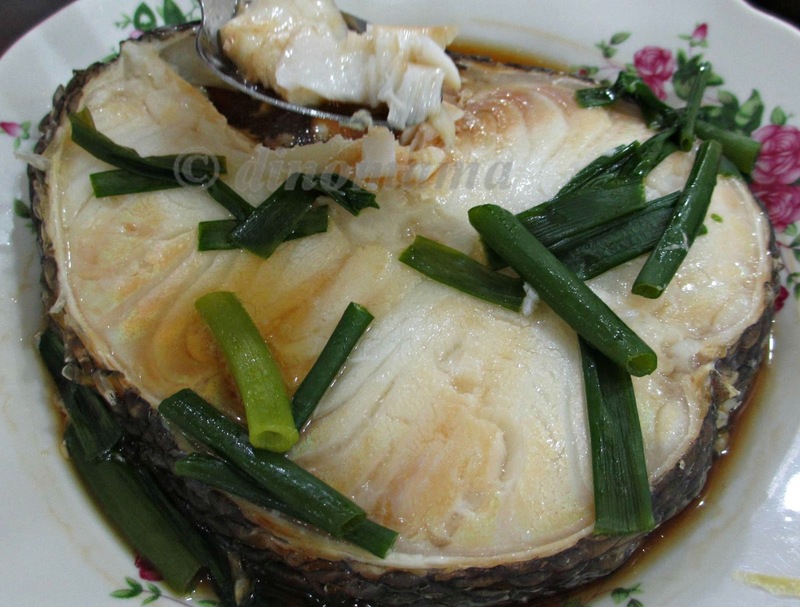 Heat up the frying pan with some cooking oil, add in the sea cucumber and fry it till you smell the ginger fragrance. 8. Add in the prawns, mushrooms, carrots and baby maize, stir fry till the prawns are half cook. 9. 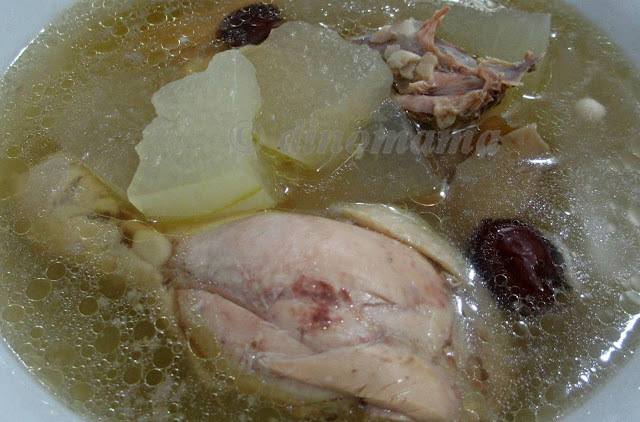 Add in the seasoning and the chicken broth, let it boil for a while so that the ingredients can absorb the sauce. 10. Mix the cornflour with some water, add it in to thicken the sauce. 11. Dish up and serve. - If you notice I did not put in the amount you needed for the major ingredients, this is because it is such a flexible dish which you can put in more or less of the ingredient you like. For example I added in a more sea cucumber as this is one of our favourite food, the prawns are the kids' favourite but there are only 3 young kids so the amount is lesser. You can also add in asparagus, cuttle fish, squid or any thing you like too. 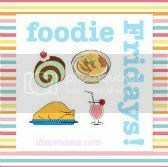 - If you decide to add in cuttle fish or squid, remember to cut some lines with the knife on the cuttle fish or squid. Blanch it together with the sea cucumber. What a spread! No wonder Han liked it so much!! hahaha~ my mum say give her plain rice cooked just right for her liking she will say the plain rice is delicious. It's very rare to see sea cucumbers in the markets here, but this soup looks hearty and comforting. By the way, how did you cook the Coca-Cola wings? Hi Jenn, this is not a soup dish, I make more gravy as we love to put some sauce onto our plain white rice. - Marinate Chicken wings with a teaspoon salt, some cut spring onion and 2-3 slices of ginger for 15mins. 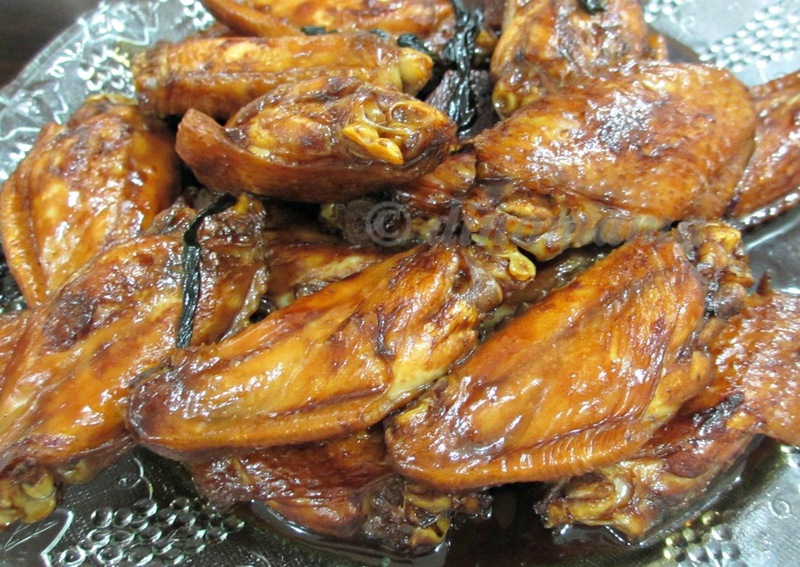 - Add some oil into pan, fry the chicken wings till both sides are golden. 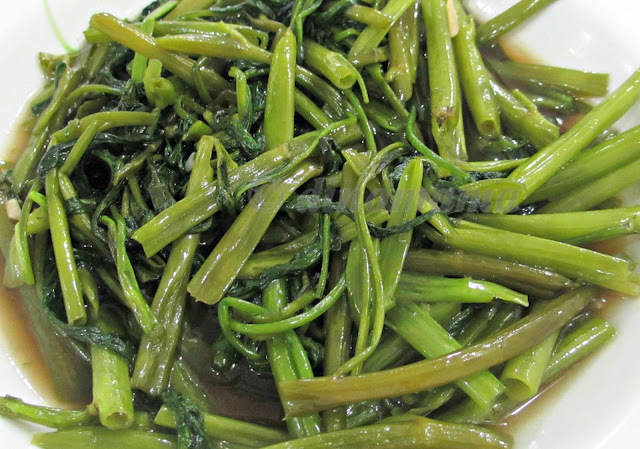 Stir fried it with ginger with or without sesame oil. It should get rid of tt taste.